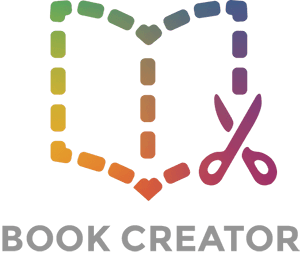 In Book Creator v3.2, we introduced a much-requested function to enable you to copy and paste text, images, audio and video between books. We also added the ability to lock items in place on the page. Start by choosing something you want to copy. Long tap on it until you see the sub-menu appear above it, like the screenshot below. Tap Cut (to remove the image from where it is) or Copy to leave it in place. The image will be placed on a clipboard ready to paste where you choose. You can paste it on the same page, on another page in the book or even in another book altogether. To paste, just long-tap on the page and you'll see the option to Paste. One cool thing to notice - if copying and pasting between pages or books in Book Creator, the app remembers where on the page the item was placed, and pastes it in exactly the same place. For some specific guidance regarding importing text from other apps, see the article 'How to import existing text'. Let's say you're creating a template book and you to keep items locked in position. Simply long tap on the text, image, audio hotspot or video and choose Lock from the sub-menu. The item is now locked in place. With text - the neat thing is that the text can still be edited, so you could add some dummy text like in the example below. To unlock an item, long tap on it again and you'll see the option, or highlight it and tap on the Inspector.